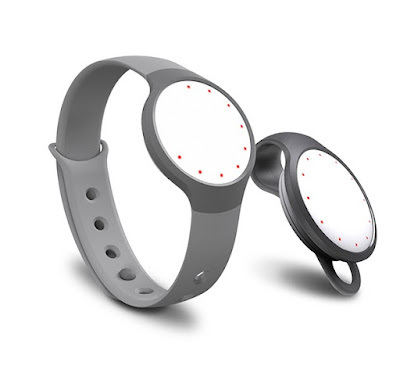 Last year we were pretty impressed by the gorgeous and minimalist Misfit Shine activity tracker. However, at around £100, the Shine was no light investment, which is why the clever bods at Misfit have released a cheaper alternative, one which will lodge in your head a certain song by Queen. We got active (relatively) with the Misfit Flash. At first glance the Flash seems very similar to the Shine (small, coin-like tracker, no need to charge thanks to included battery that lasts six months, Bluetooth connectivity to your phone, etc. ), so why is it half the price? Unlike the Shine, which sported an eye and finger-pleasing metal body, the Flash is all plastic. Although still being waterproof like its older brother, the Flash is only good down to 30 metres, unlike the Shine's 50. Still, is your local pool that deep? Didn't think so. The Flash is also slighter thicker than the Shine, which we actually think is an improvement, helping to make you more aware of it on your wrist - just in case it should come off during a run or a cycle. Although we never had any trouble with our Shine, we did hear of a few cases where the tracker had been lost due to falling out of the included wrist strap - something Misfit have responded to by redesigning the strap. Now you insert the Flash from the back, and everything feels a lot more secure. Included also is a clip to wear it on your lapel or belt, should you not fancy it around your wrist. The Flash excels at recording steps, calories burnt, and sleep, and thanks to the slender profile it is very possible to leave it on all day and forget about it. Data from your no doubt very active day (yeah, right) is then downloaded to the accompanying iOS or Android app via Bluetooth 4.0, to be displayed, interpreted, and saved. The app itself is very easy to read, with your steps, calories, and time slept being shown in a very simple way. Within the app you can set your goals, just as with the Shine. 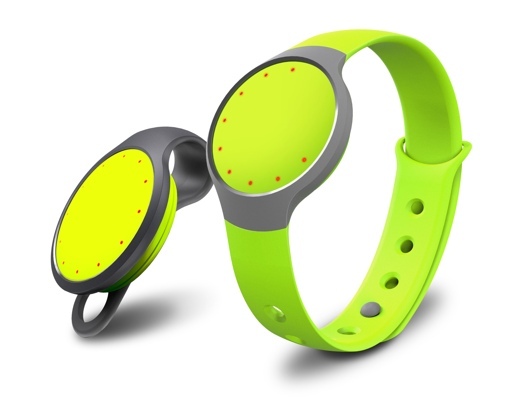 This seems to be the main focus of Misfit's trackers; sorting everything out in the app so you're left with the absolute minimal data on your wrist. Once again you are shown how far from your target you are by the small dots around the device's 'face' - although unlike the Shine the Flash's dots are a much easier to see red colour. The face can also be used to tell the time with a simple press, yet interpreting the unique clock will take a bit of time to get used to. So if you are wanting something very unobtrusive to track your daily activity, this could be for you. Sure, the plastic body doesn't feel as nice as the Shine's, but the drop in price for what is essentially the same gadget is very welcome. We love that the included battery will keep you running for up to six months, and the lack of a USB charging port keeps it slim and unique. Oh, and another winning element? It's available in seven different colours. Score.